Week Four is here with a whirlwind of progress. I am feeling proud of last weekend's work and scared of time to finish in the next few weeks. Living in two places is a wonderful privilege my Prince Charming and I worked hard to make the dream of our lake house come true. Driving back and forth to complete the challenge is tough when we are still settling into our home. Tools are in the opposite house, there is an hour time difference, and we are only working together on the weekends. Whine, Whine, Whine! LOL! I am really enjoying the challenge but, life has obstacles for all of us. The progress roll is here and I have to say this weekend rocked! 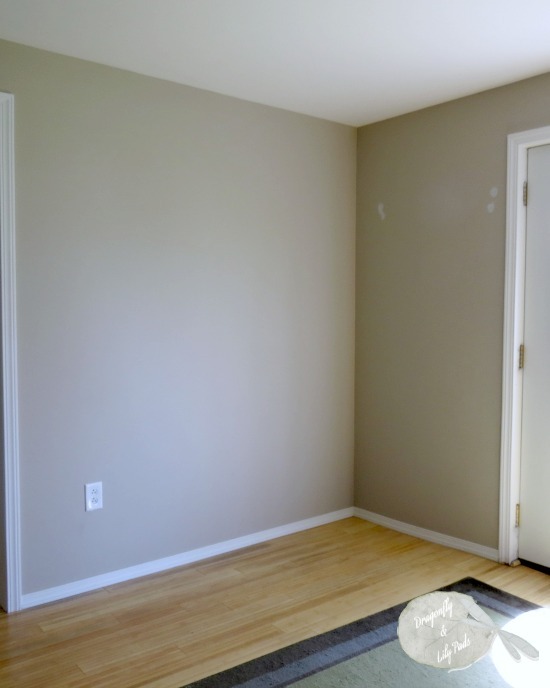 The walls are patched and the electrical outlet is flipped from the room behind to the entryway. Allow me a proud wife moment, please. Prince Charming Thank you for changing the outlet this will allow the ugly water cooler from greeting you at the front door. 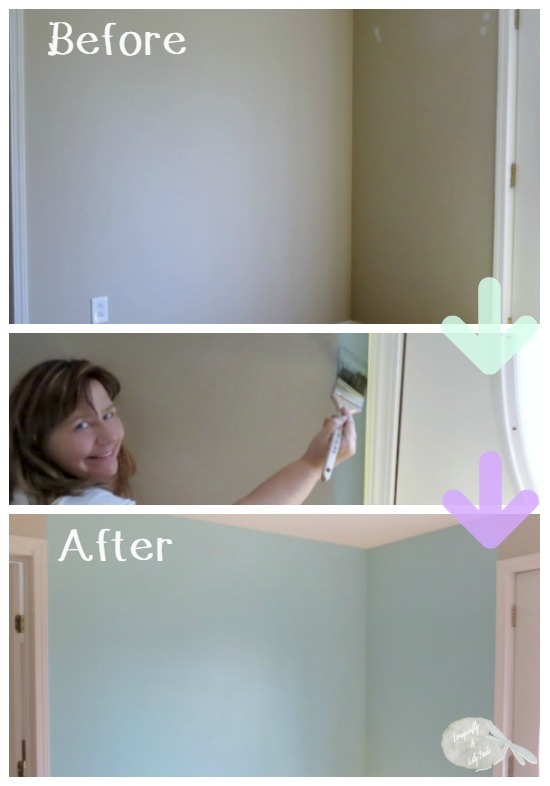 Next on the checklist is painting the wall behind the entryway storage unit. Do you wear makeup while you paint? This is a brave picture my PC thought you would like to see. 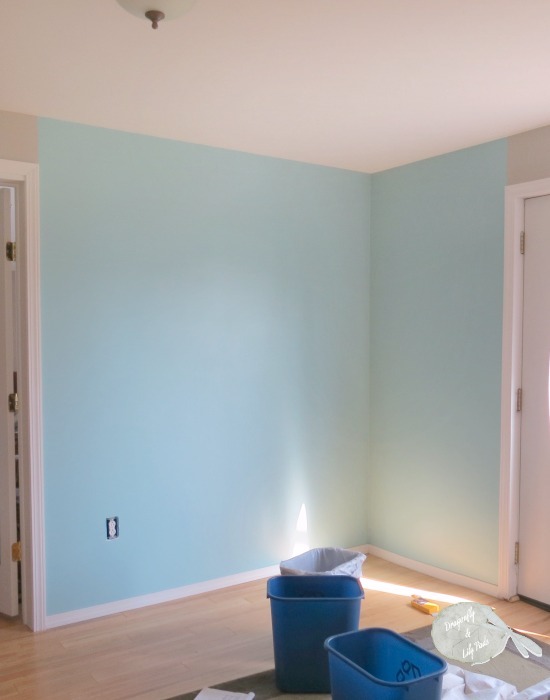 The color is Clear Pond from Behr Marquee. While the paint dries PC cut the wood to size and stained the wood for the storage unit. During that time, he mowed the grass. Real life chores still need to be done during the ORC. Finish this weekend to complete the One Week Challenge is a big goal. I am going to give a huge push and I will see you back next Thursday. You have given me so much encouragement which I appreciate more than you know. 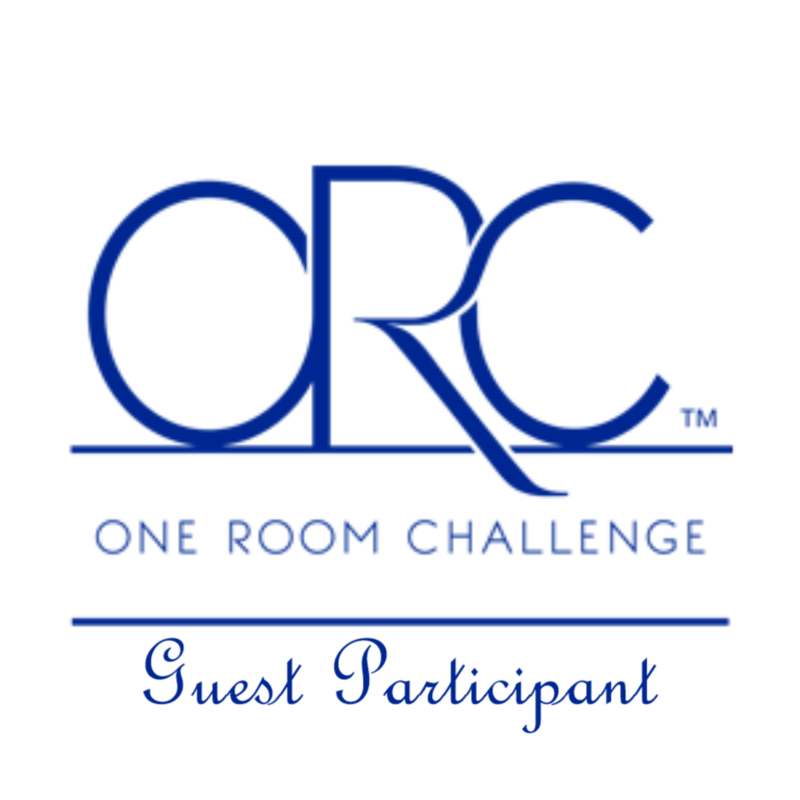 Feel free to comment, share and visit the other participants too. They could use some love right now too for a friendly love while we finish this 6-week challenge. 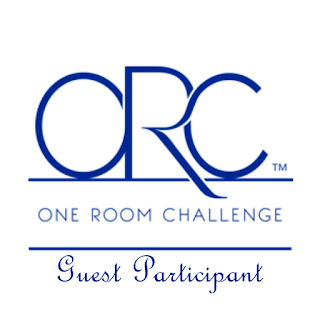 I am proud to be a One Room Challenge Guest Participant. Thank you, Linda, from Calling It Home for creating an amazing event. It's looking good! Love the blue color, can't wait to see it all finished!